Washington (CNN) President Donald Trump’s eldest son said the platform of the Democratic Party is similar to that of the Nazi Party in Germany during the early 1930s and that history classes are biased against conservatives. He warned people against saying something “because someone told you that in a history class” because academia had been influenced by the left. 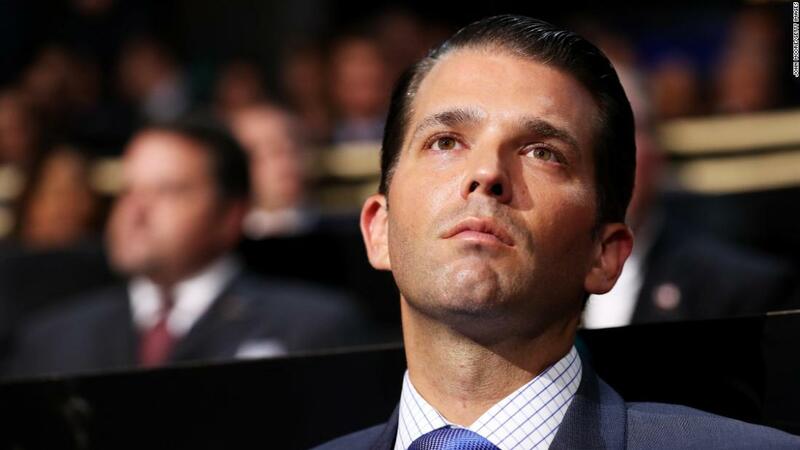 “You see the Nazi platform in the early 1930s and what was actually put out there … and you look at it compared to like the DNC platform of today, and you’re saying, man, those things are awfully similar, to a point where it’s actually scary,” Trump Jr. said. Trump Jr.’s comment was a false equivalency. The Nazi Party’s violent promotion of racism and anti-Semitism is not comparable with the modern Democratic Party of the United States. The National Socialist German Workers’ Party, which was commonly referred to as the Nazi Party, was built on dictator Adolf Hitler’s belief that Aryan Germans were superior to all non-Aryans, particularly Jewish people. The party’s ideology was built on the central premise that Jewish people were responsible for the problems facing Germany following World War I, and that belief eventually spiraled into the government-run genocide against the Jews known as the Holocaust. Trump Jr. took to Twitter on Thursday afternoon to defend his comments.